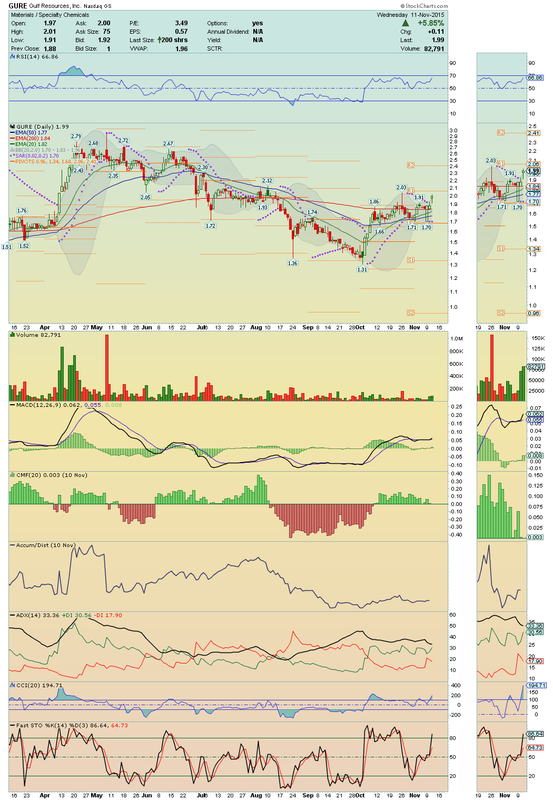 IMUC ---> It made a strong Breakout today with high volume!! Also, it is showing lots of Upside Potential and for tomorrow i´ll be watching for the confirmation of this Breakout and a possible test to its 200EMA! Important Key Level to watch is $0.50! Upside Runner on radar!! 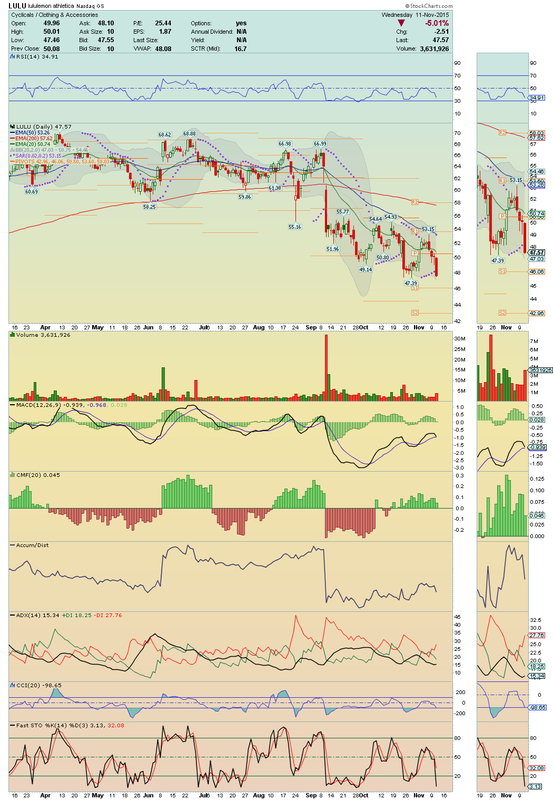 BOX ---> Crossed and closed above its 50EMA and above its Upper Bollinger Band Line, this stock is in Breakout Mode! With strong positive divergences, which is suggesting more upside movement, i´ll be watching tomorrow for the confirmation of this breakout!! On volume, it could make a nice Run Up!! $15.37 can be the next stop! Stay tuned! 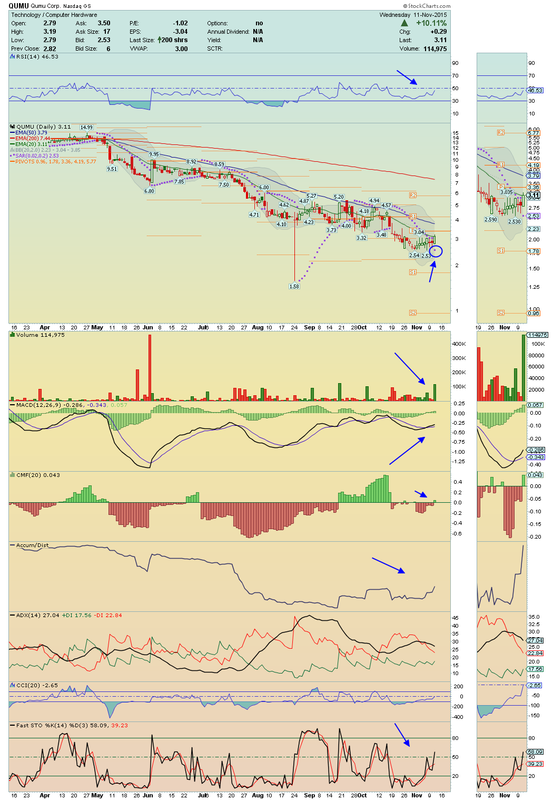 GURE ---> Trading above all EMAs and above its Upper Bollinger Band Line with high Volume and Buying Pressure, this Breakout Candidate is setting up for a strong Upside Run, and a break above $2.06 will open the door to do that!! 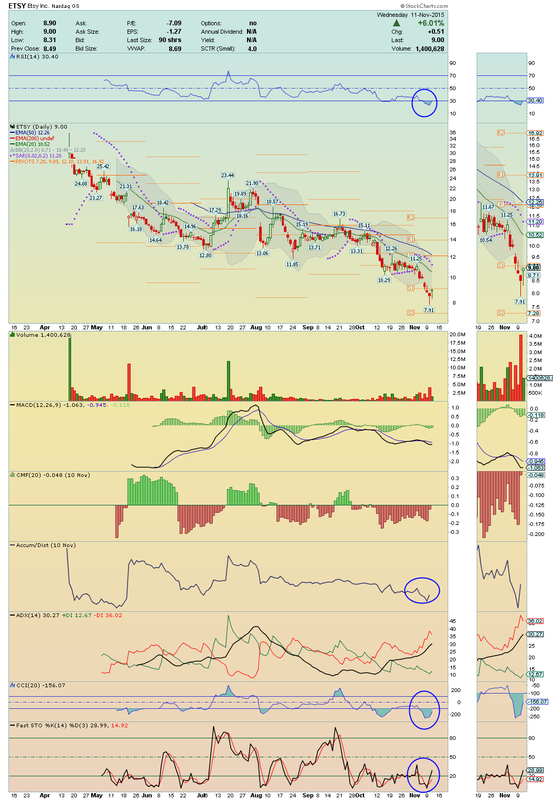 Chart indicators are showing strong positive divergences, which means that Momentum is strong here!! Keep closely, $2.41 could be the next stop!! QUMU ---> After forming a solid base in the last few days, this Bottom Player is ready to Soar! It made today a strong trade session and a strong Breakout with high Volume and Buying Pressure!! Also, it crossed and closed on the top of its 20EMA!! The Buy Signals on chart are evident, proving that buyers are strongly in charge and so, we could get tomorrow, another strong upside run with target its 50EMA! It is a tiny name with a strong Momentum which can move very fast! Keep closely!! 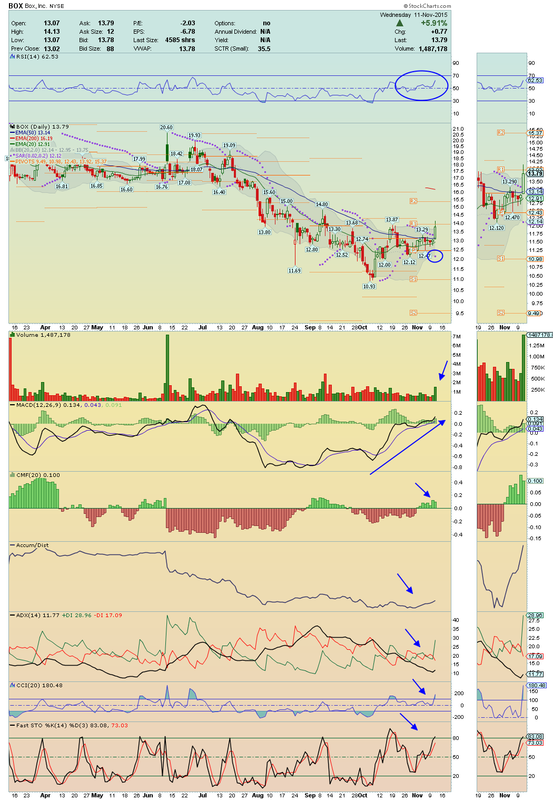 ARWR ---> This stock made a strong breakout on volume, crossing up too, its 50EMA and its Upper Bollinger Band Line!! 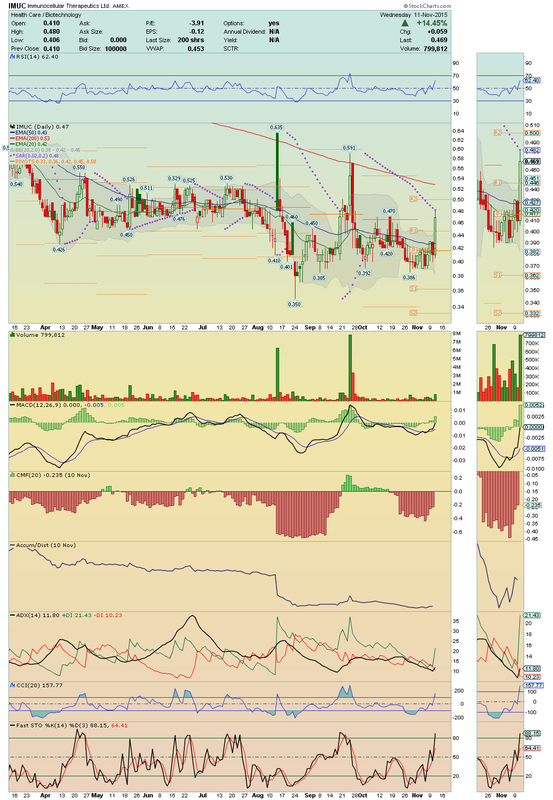 It is now well positioned to make a Run Up toward its 200EMA, my initial target, and as it has 25.30% of Short Float, the Run could be strong!! 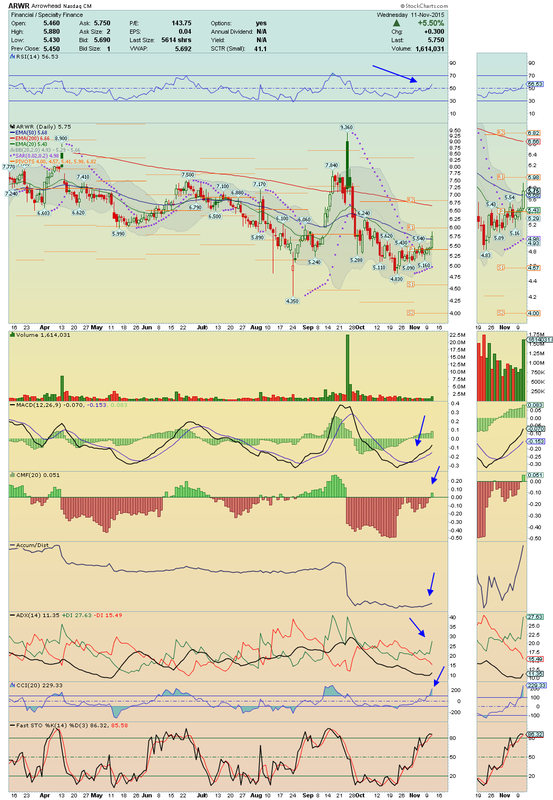 $5.98 is the next resistance level to be broken before the target!! Nice chart!! Worth watching! !